According to The Royal Academy Dictionary, an ambassador is a person, entity or something that is characteristic of a place or a country and considered representative of this place or country. So then, what is an eTwinning ambassador? This article is about teachers who are representative of the activity of eTwinning and a lot more besides. We are talking about enthusiastic teachers with a great deal of experience in this Programme who have participated in numerous projects and obtained the National or European eTwinning Prize. This type of teacher makes an effort to communicate with others about the benefits of this Programme and helps other teachers by initiating them into the eTwinning Programme and offering advice of a technical and pedagogical nature. The eTwinning ambassadors are professionals that have distinguished themselves not only by their use of good practice but also because they have promoted their methodology of collaboration basing themselves on the development of projects. In Spain, we have a large group of eTwinning ambassadors who represent all our communities and cities. How did the figure of the eTwinning ambassador come about? It's not always easy to initiate oneself into the eTwinning Programme and the ambassador has a thorough knowledge of all the doubts and incidents arising for the users of the eTwinning. The ambassadors position themselves close to the new teachers and guide them and offer them the benefit of their past experience as a reference. Are the ambassadors from all educational levels? Amongst the members of our network of ambassadors there are teachers from infants schools, primary schools, secondary schools and training programmes too. · Advice about the procedures involved in eTwinning. · Communication about eTwinning activities online or on-the-spot, in social networks, in educational blogs, training sessions and didactic online meetings, meetings of teachers and training days. · Coordination of work groups. Ambassadors give workshops in schools and other educational centres. · Recommendations about the use of communication tools which are adequate for specific tasks and activities. · Presentation of examples of good practice that could be used as a model to follow. In addition to this, they create documents that you can consult . And, of course, they are close to you and always available to help you. 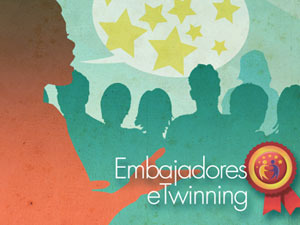 communities and cities are responsible for naming the eTwinning Ambassadors. Once a teacher accepts the post and wishes to form part of the network of eTwinning Ambassadors their profile is added to the eTwinning desktop. This helps them to be identified. 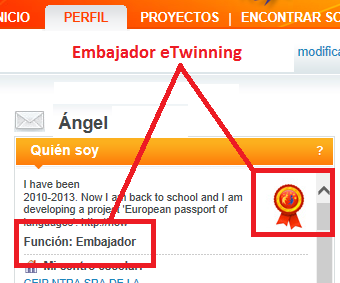 In addition, in the lower part of the module “who am I” the function of the eTwinning Ambassador is explained. It's very simple. 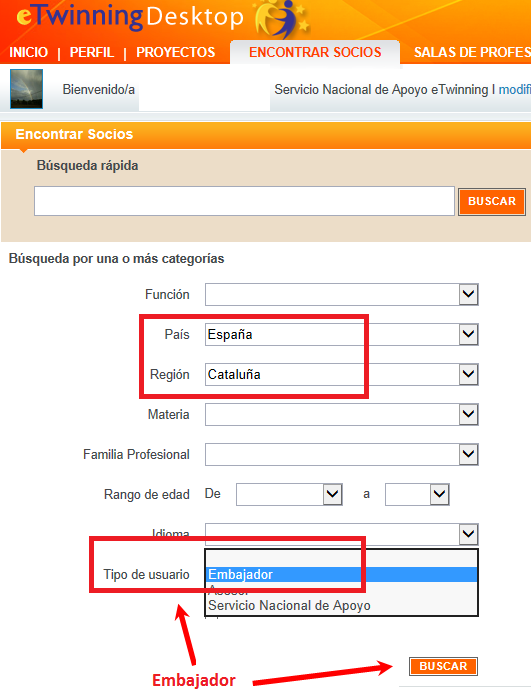 Go to your eTwinning desktop and click on the section FIND MEMBERS, then select the country and the region. Choose the type of participant “ambassador” and you will gain access to a list of ambassadors of the community of your interest. You may use the email of the platform to send messages. This map shows the distribution of the ambassadors. In addition, you may wish to visit the blog of the Ambassadors, which functions as a showroom of all the activities, projects and communications carried out by the ambassadors. This webpage also functions as a space for sharing information and communication. You will find ideas, examples and our tools etc. With the support of the ambassadors, you will feel accompanied and everything will feel easier. You may get in touch with an eTwinning representative from your community or city and, of course, the National Support Service for eTwinning is available for teachers too. Source of images: The National Support Service for eTwinning.